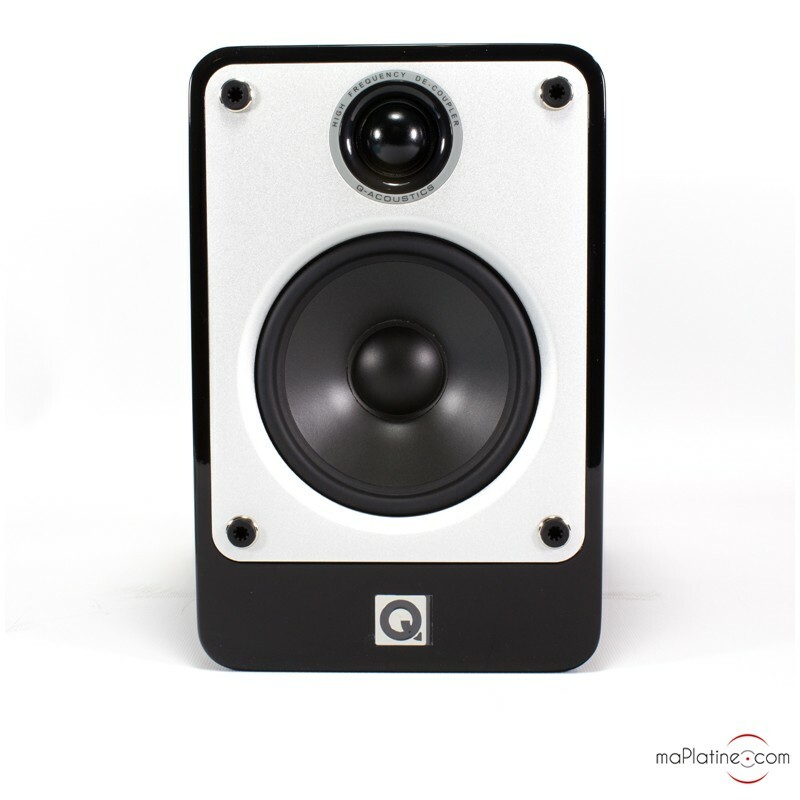 The Q Acoustics Concept 20 Q bookshelf speaker is the boosted version of the Q Acoustics 2020i speaker. Several improvements have been made, including the cabinet that has extra lining. Two 10 mm thick MDF panels are superimposed and insulated with a gel (GelCoreTM), thereby optimising the structure's rigidity. The passive filter has also been changed. 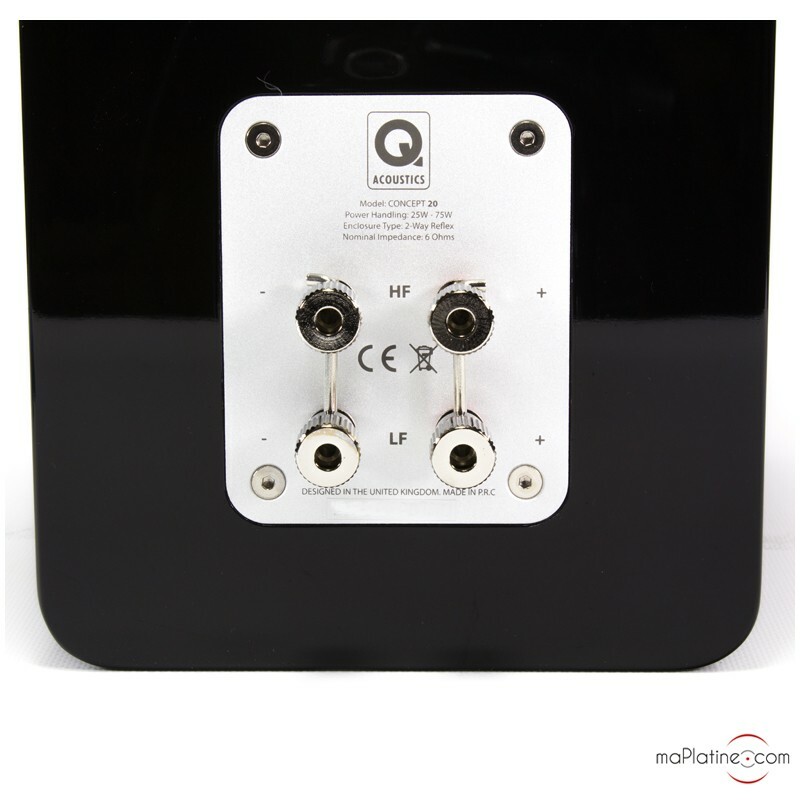 The great quality terminals are at the back of the Hi-Fi speaker, those of the Q Acoustics 2020i speakers are underneath the speaker. 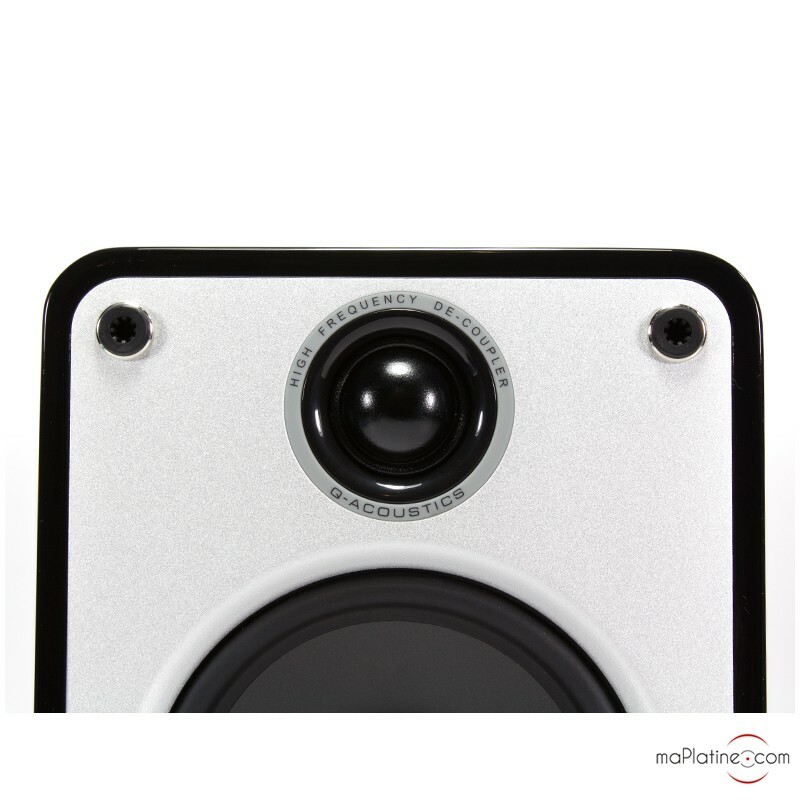 The port is also at the back of the speaker. 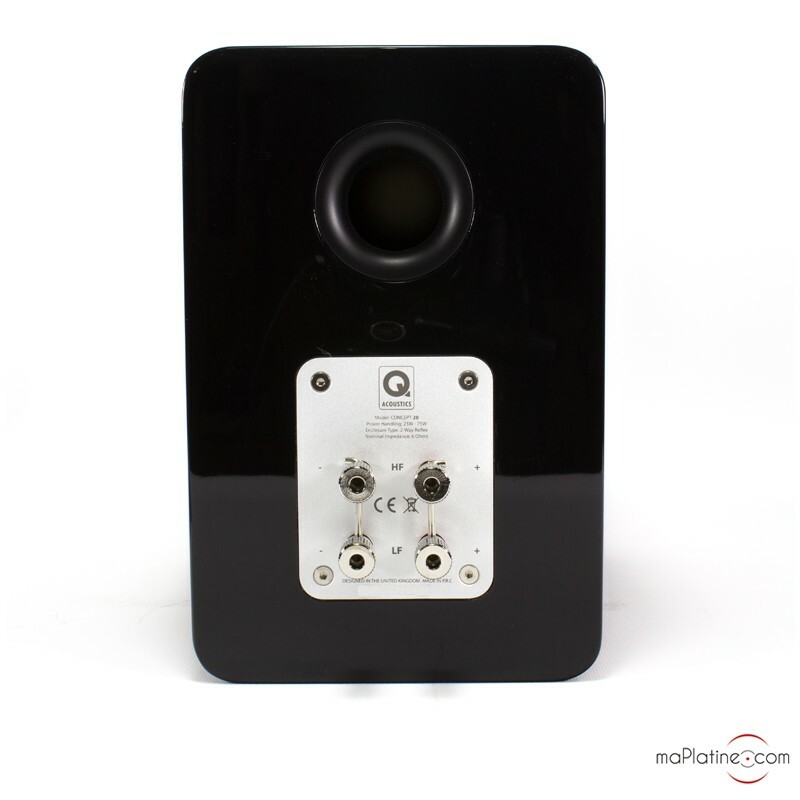 To ensure that the tweeter is properly cooled, a ferrofluid is applied on the coil. 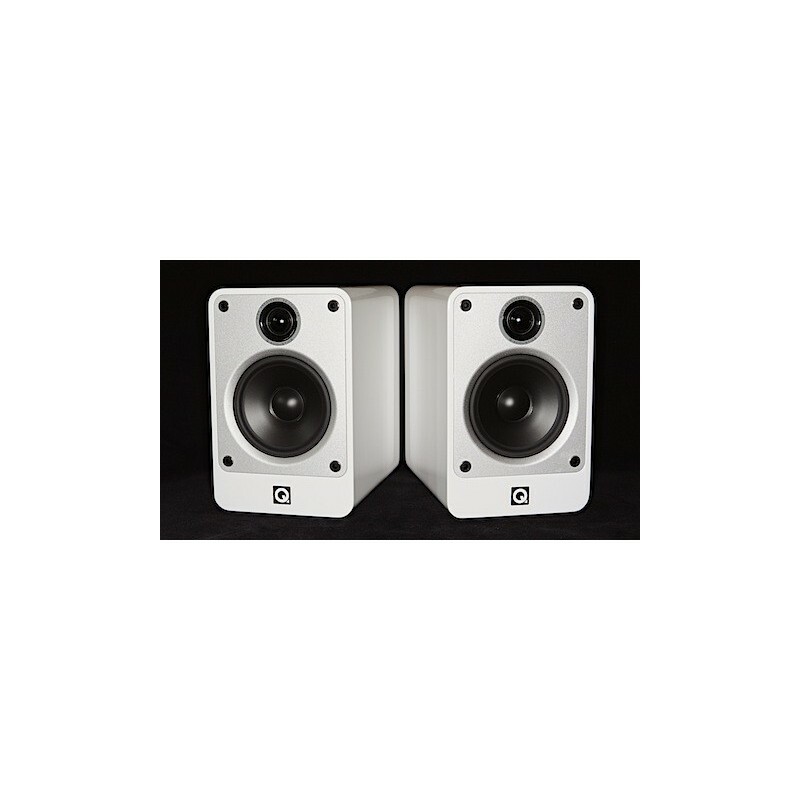 The tweeter is a 25 mm dome model and the mid-bass driver is a 125 mm driver. 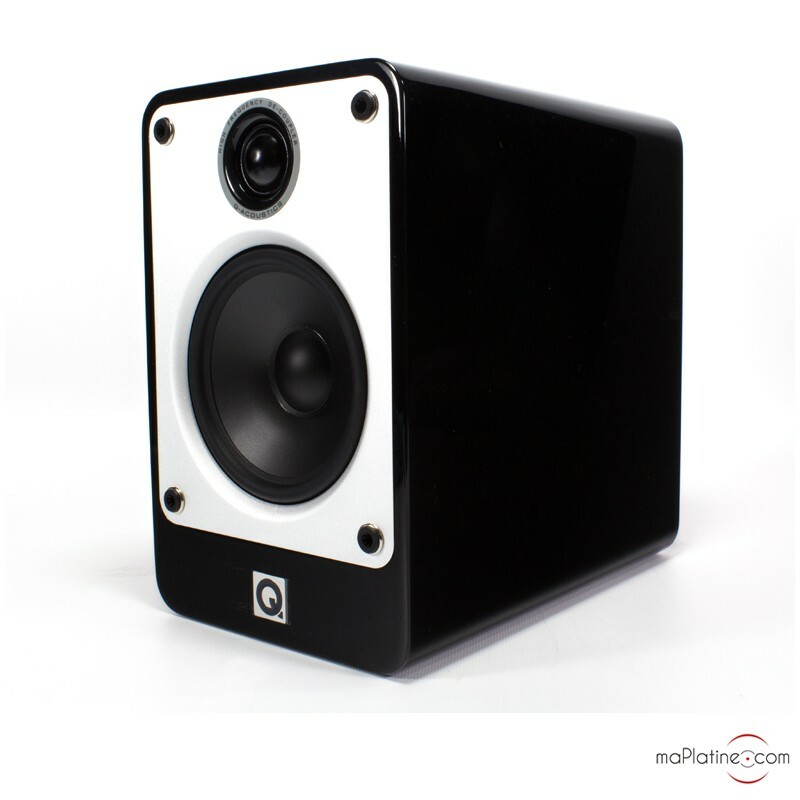 To minimise distortion, the mid-bass driver has a ceramic and carbon fibre cone. 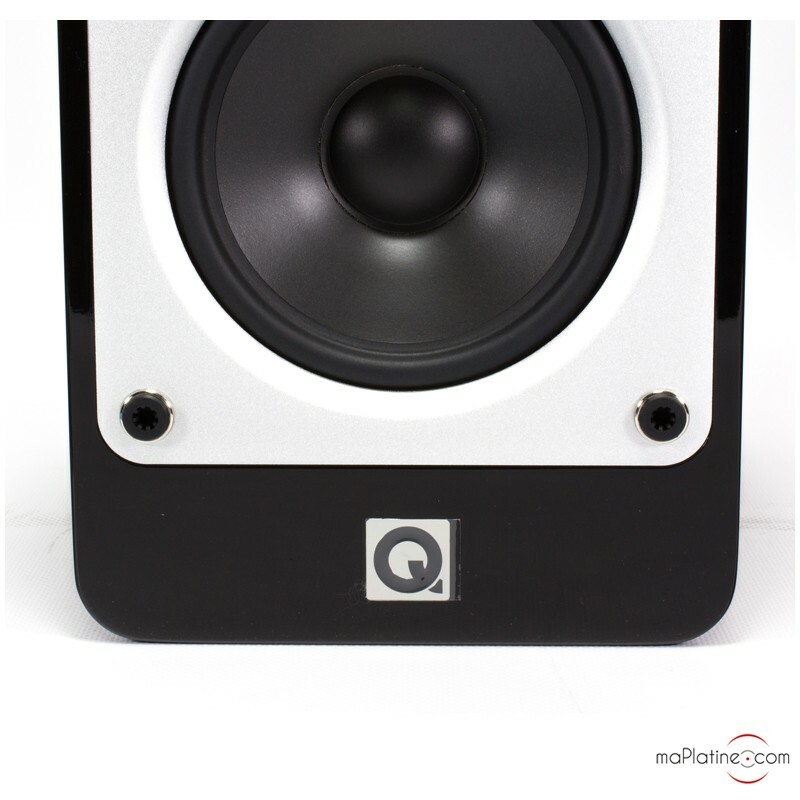 The Q Acoustics Concept 20 speakers have 86 dB sensitivity. 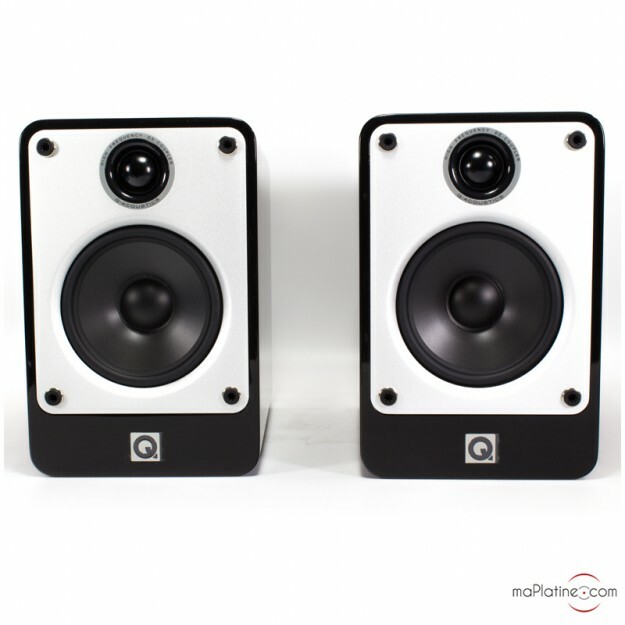 They can be mounted onto stylish stands designed for Q Acoustics (option). 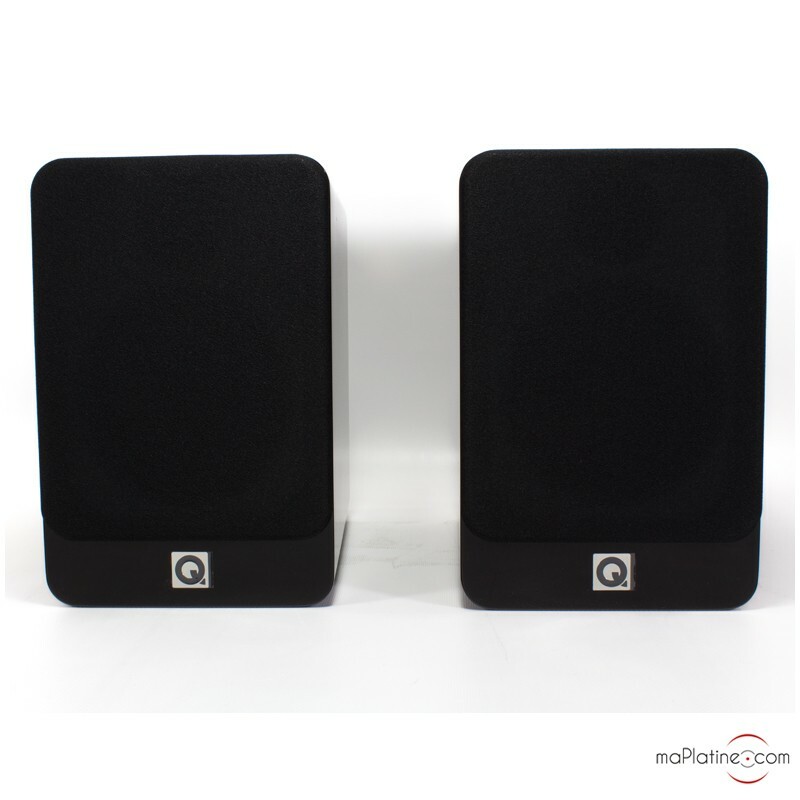 The tweeter and mid-bass driver's meticulous design and build quality make this speaker a serious competitor to all the speakers in its category. 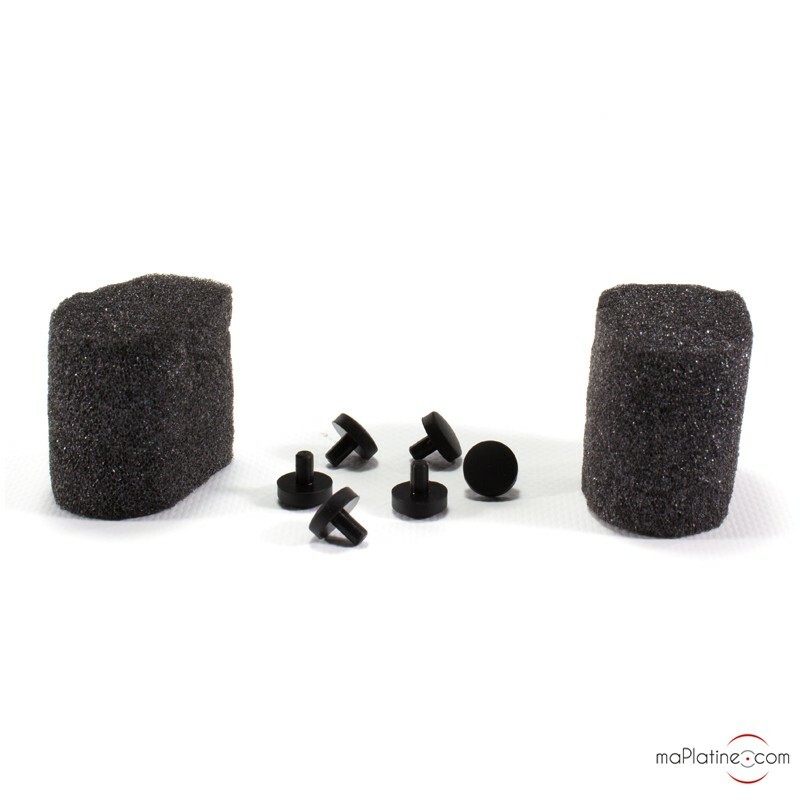 Despite its humble size, the soundstage is quite wide. 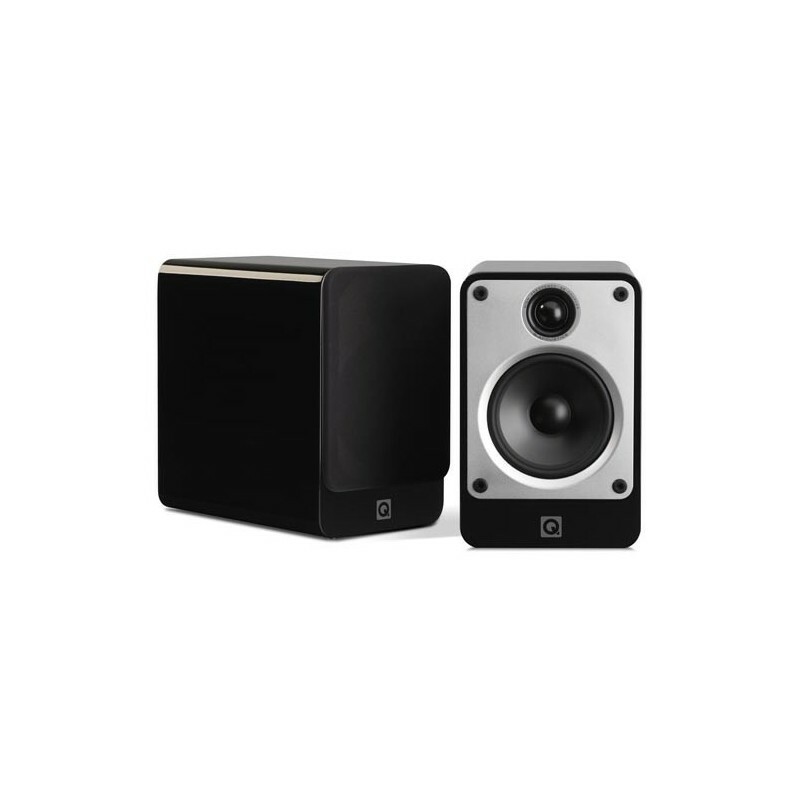 The tweeter delivers a high-rising and soft sound, while the mid-bass speaker driver exhibits a taut bass and open mids. The Q Acoustics Concept 20 speakers are great value for money!